The Manta LED1503 is a sleek, modern 15.6" TV with a resolution of 1366x768. 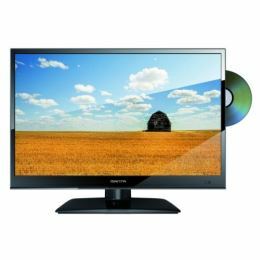 It comes with a built-in DVB - T MPEG4 tuner and DVD Player plus HDMI, SCART, USB input and VGA connectors. In addition to the standard power supply there is a 12V car adapter making it ideal for caravans, motorhomes, boats etc. The compact, lightweight design and extensive functionaility makes the Manta LED1503 a great buy for entertainment on the go!